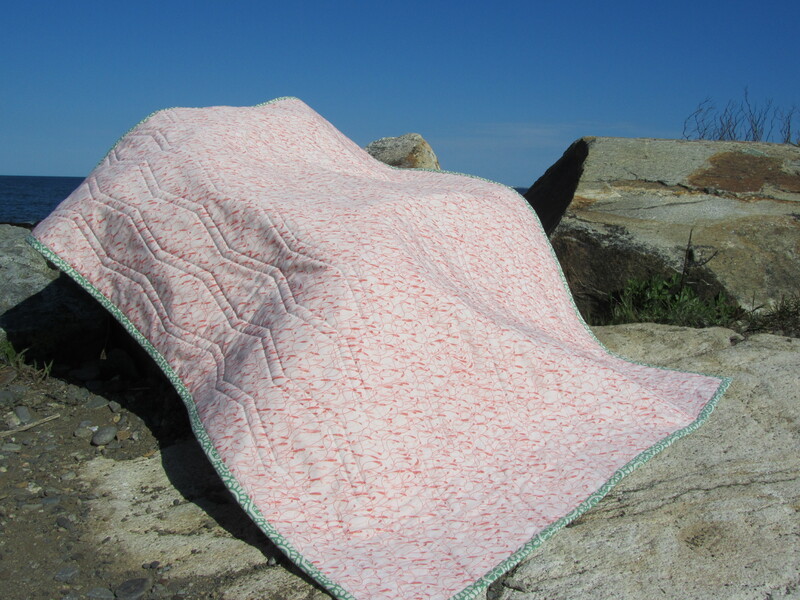 I finished my tumbler quilt last week and I brought it with me to get some good photographs when I went to visit my parents at their beach house. I love the way this quilt came out. I started this as a leaders and enders project a while back. 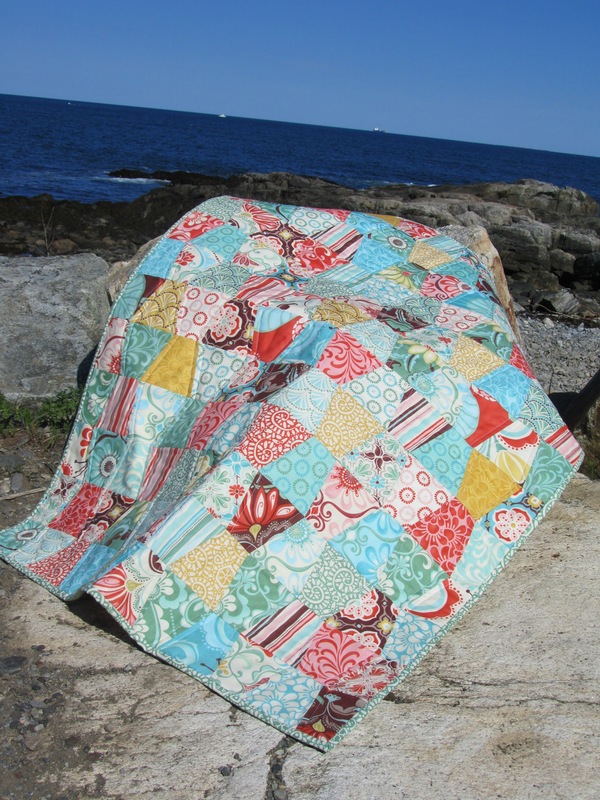 I used four charm packs of Kate Spain's Fandango line that I cut out using my Accuquilt Go! cutter. I used the baby die for this one since the regular die is larger than a charm pack. I quilted this one by quilting on either size of the zig zag seam and I really like how it came out. 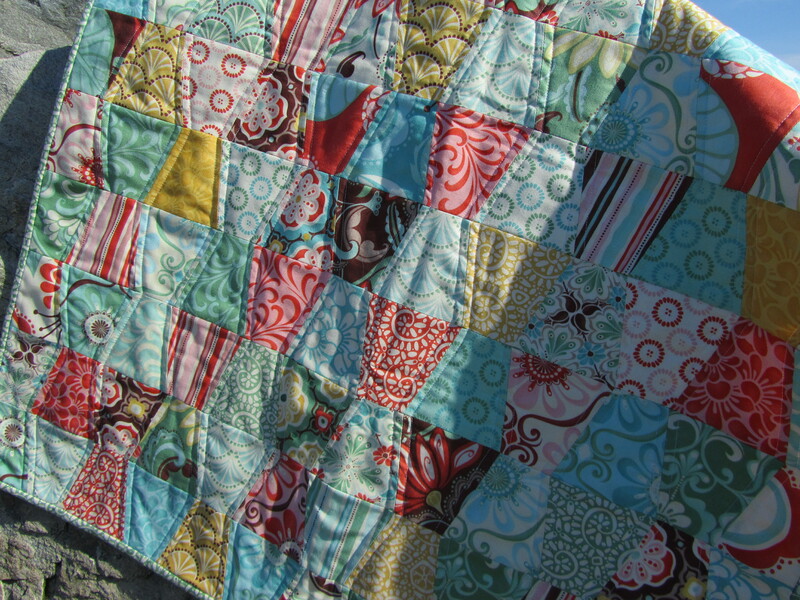 I think the quilting looks even better on the back of the quilt. It's backed using an Art Gallery print that I had in my stash. It's from the Botanica line. My brother-in-law is expecting a baby in November, and if it ends up being a girl, I was thinking of giving this quilt to the new baby since it's a perfect baby sized quilt. I forget the actual dimensions, but it took just a one yard cut of fabric for the backing. 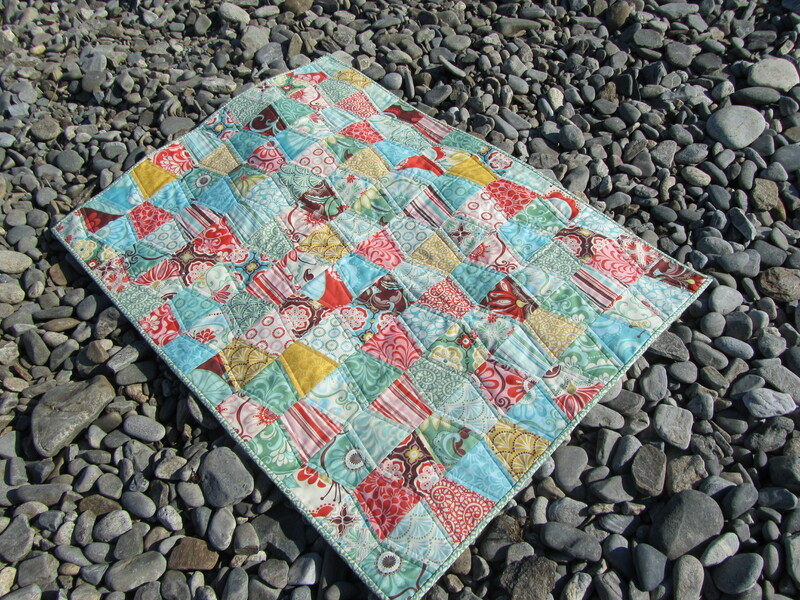 Great quilt and it is a very nice photo on the beach. 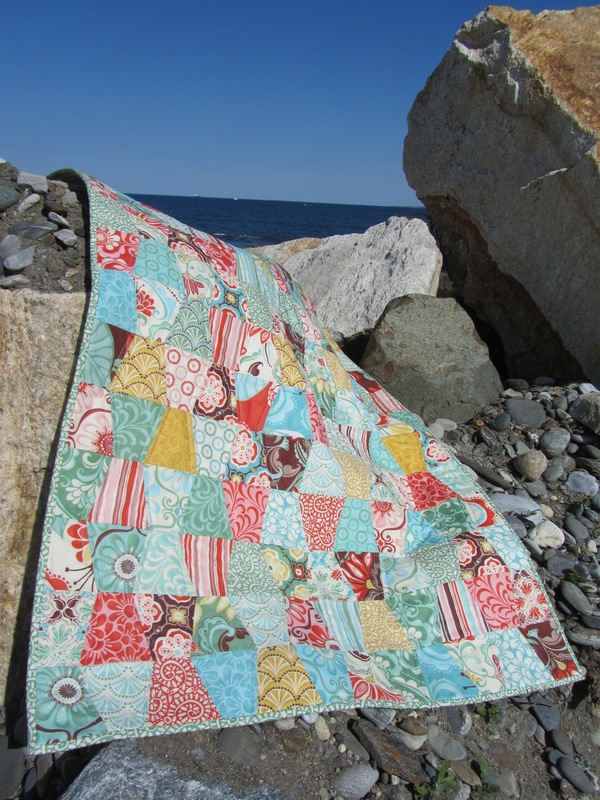 Oh I love love love love love tumbler quilts! I love how you outline quilted the tumblers. Lovely job!